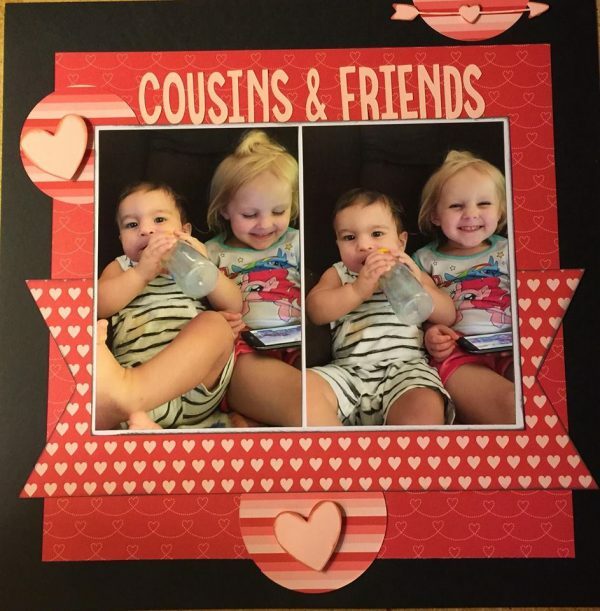 Inspiration Archives - Page 2 of 22 - Pebbles, Inc.
New month, new challenge – same giveaway! Hi friends! It’s now February. FEBRUARY. January just flew by (as life tends to go these days) – but it’s still hard to believe it is now gone! With the new month, however, we have a new challenge! Keeping it as easy as January, we are going to stick with a theme instead of a specific sketch. Hopefully, this will get more people involved in the challenge! 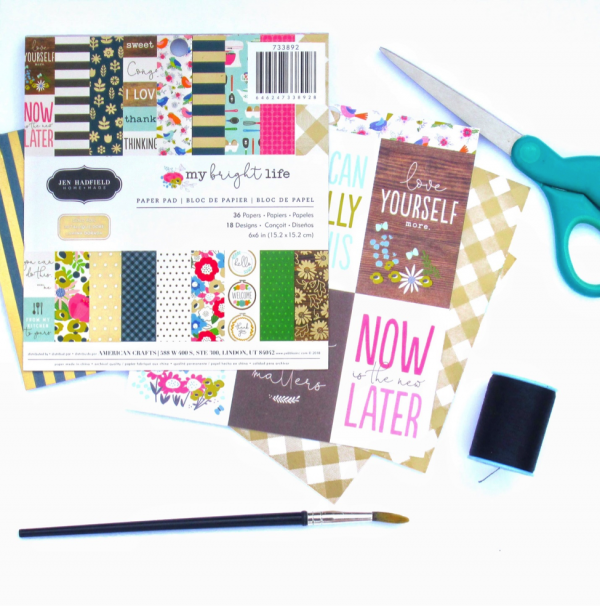 And…you can probably guess what we chose – Love and Friendship-themed projects! This leaves so much room for interpretation! We hope you’ll take it too! 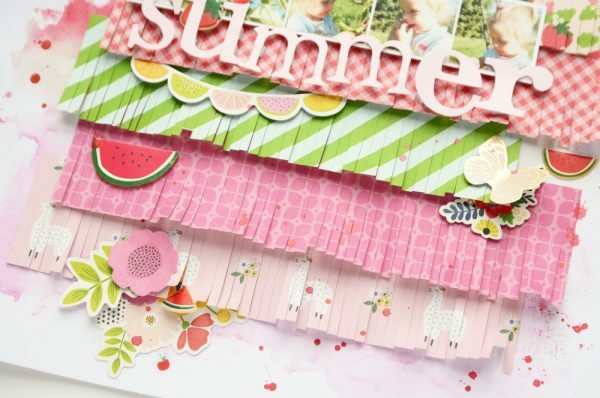 Here are some ideas from crafters we asked to help us get this started – let them inspire you! As you can see, nearly anything is game! 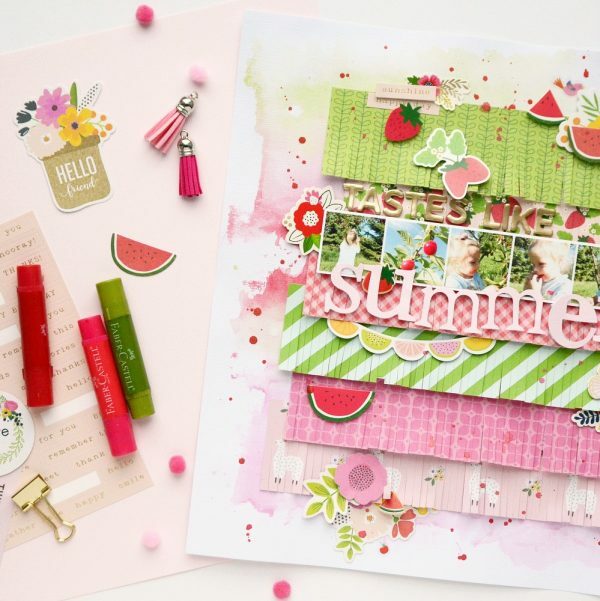 Whether you love to make cards or layouts, share your projects with friends or family, they all work! What will you make?? We can’t wait to see! 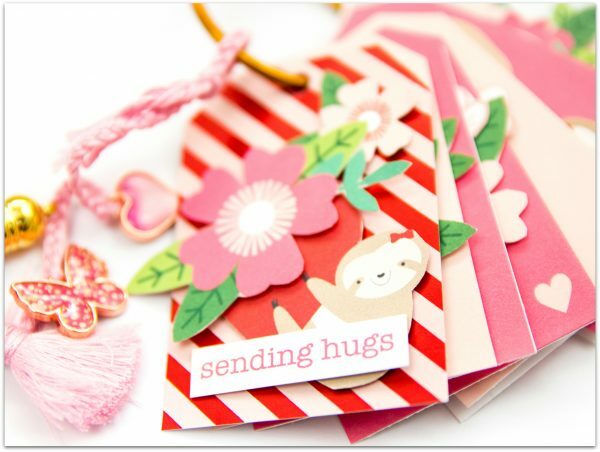 Once your project is done, email a photo of it to pbsocial@americancrafts.com. If we get enough participation, after the submission period is over and the cheering time is done, we’ll pick two winners to receive some of their favorite Pebbles products! We will pick at least one winner for sure. Submissions are due by midnight, February 17th. Let’s get crafting! Furry friends, family and fun with My Bright Life and Sindi! 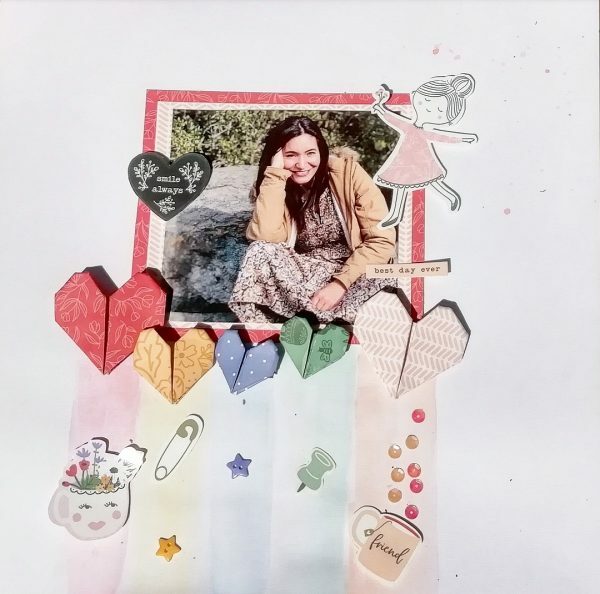 Hi everybody, my name is Sindi Jeffers and I’m just stopping by today to share a layout I created with the beautiful My Bright Life paper pad. I have used almost every square inch of paper in this pad on other projects. 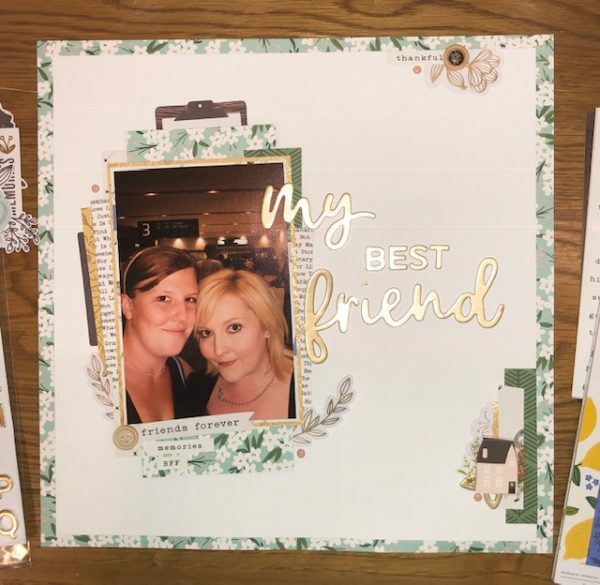 When I was asked to do a guest design post for January, I decided to get creative and use the last few remaining bits of paper. All I had left were a few squares of paper, which I cut into strips for this project. I had this adorable photo of my son and our sweet furry friend, so I decided to create a giant paw print for my background. I found a template on the internet and hand cut the shapes I needed. I then used the strips to cover the shape of the paw print. I decided to roll the ends of some of the strips to create dimension on my page. 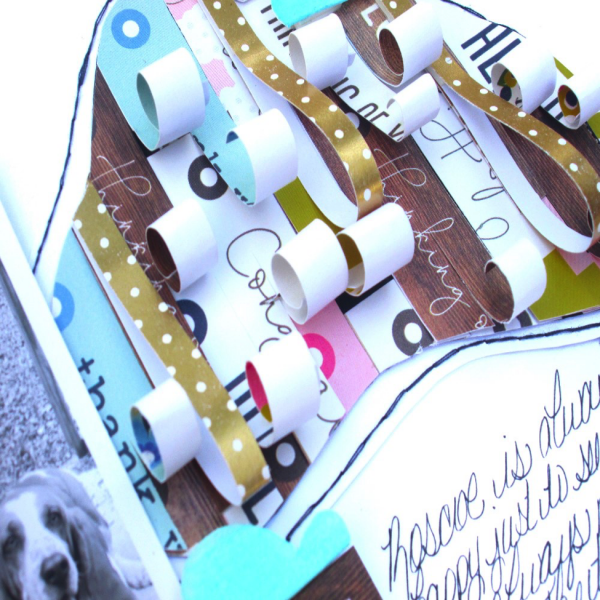 Attaching the top edge of each strip to the paper before rolling helps things go more smoothly. I simply rolled the bottom edge up around my paintbrush. I also folded some of the strips into loops before securing them. I love the look it created. After that, the only thing left to do was stitch around the paw print. After that, I hand cut some clouds to scatter around my page. In order to bring out one of the gorgeous colors from the paper pad, I painted some of the clouds a soft blue. I like to double my clouds, stacking one on top of the other, in order to create even more dimension on my pages. Here’s the final layout. 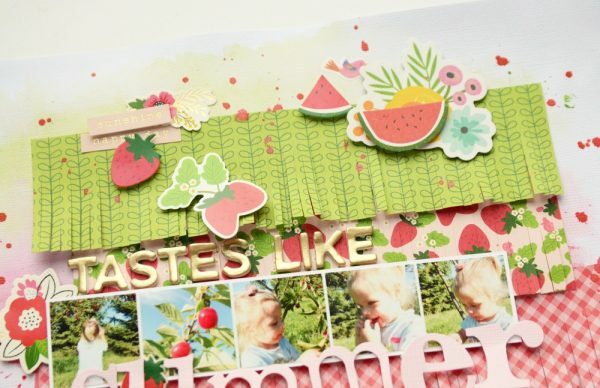 I hope I’ve managed to inspire you to keep all those scraps! Even the smallest bits of leftover paper can find new life. 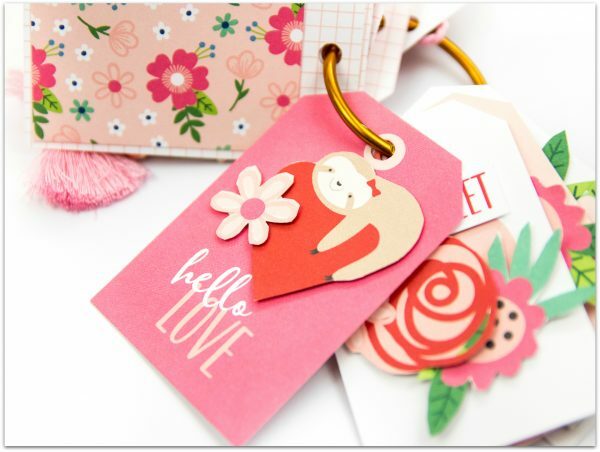 Hello there Pebbles Fans, it’s Terhi Koskinen here today with some very very lovely and sweet ideas for the upcoming Valentine’s Day! This is a card. Or a mini book. Or a book. I don’t know. 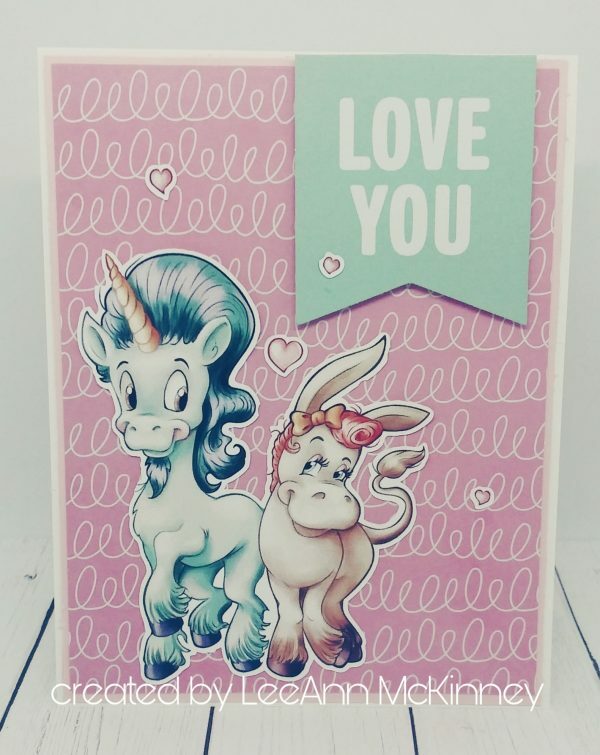 But no matter what it is, it is load with cute things and it will be sent to my best friend on 14th of February to make her day a bit happier. 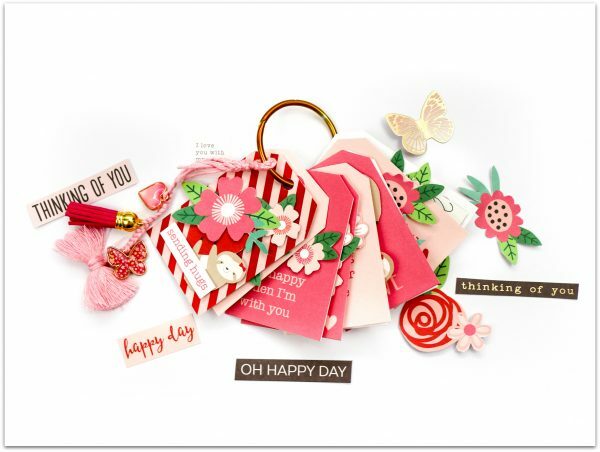 Before starting to do anything, I had a vision in my mind to create a mini book full of love and memories from the happiest times with my loved one, but once I flipped through the ‘Loves Me’ patterned papers I knew I had to do a card – or something card-like to be send away. 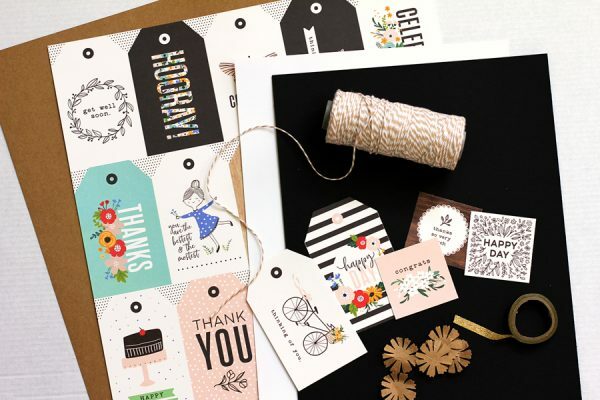 I started the process by cutting out the tags from one of the patterned papers, and to add one tag with foil effect I also used the 6″x6″ paper pad. 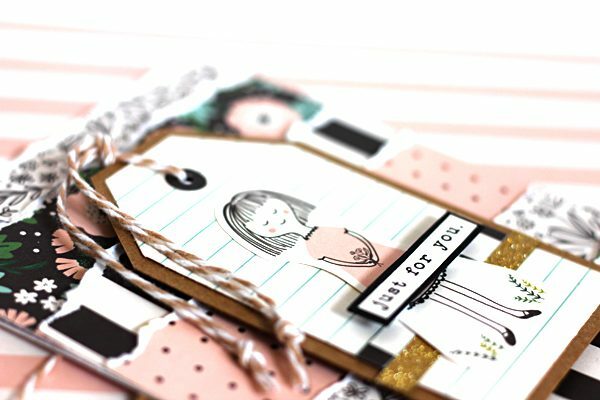 The tags are sized 2″x3″, and to cover the back side partly of each I cut 1 1/4″x2″ sized pieces from another patterned paper. To make the result smooth and balanced, I only used one pattern to the back sides. Then I continued the cutting fun by cutting out several blooms and flowers from one of the papers to be the embellishments. 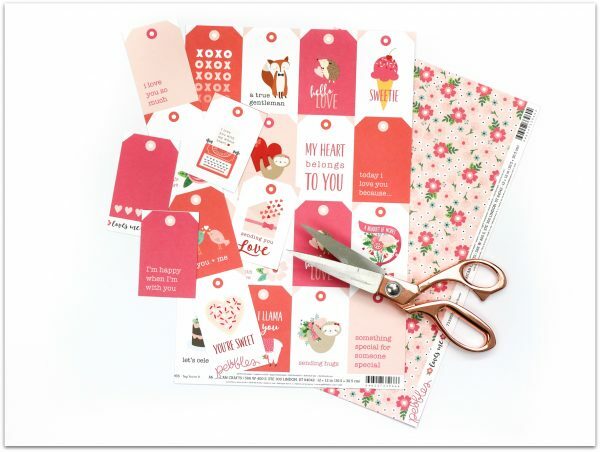 As soon as I had all the tags ready, all blooms cut out and my foam dots on the table, I started to adhere the blooms onto the tags. In addition, few of tags got a phrase or two to complete the look. 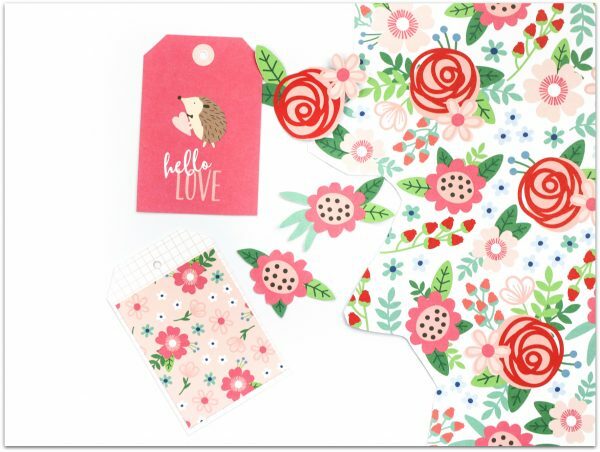 The phrases and words are all cut out from patterned papers too. 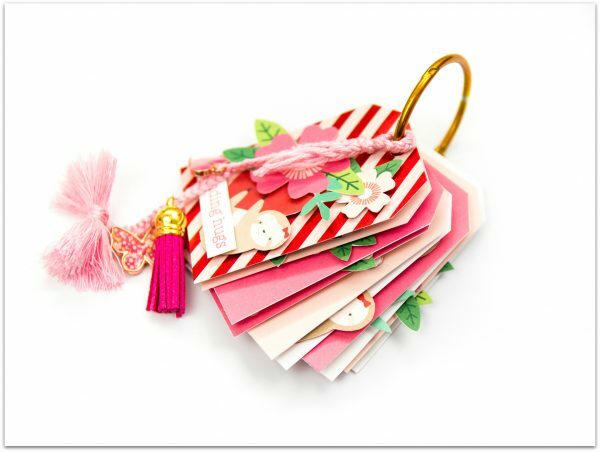 And as this card is mini book-like already, I wanted to braid some embroidery threads and decorate it with some charms and tassels – now the look of this card/book/whatever will be perfect! To finish the process I took one metal ring and hang all the tags to it. The braid is on top of everything, hanging wild like the koalas. Inspired? I hope you are! 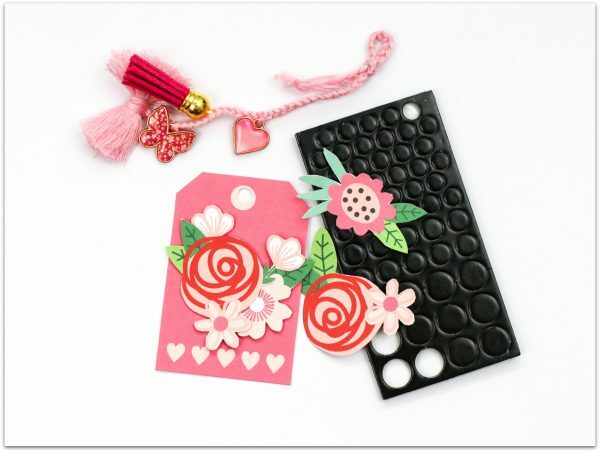 I never knew I’d love Valentine’s Day crafts this much! Who could resist those cute koalas!? Hope you’ll have a great day, full of love and sweet things! 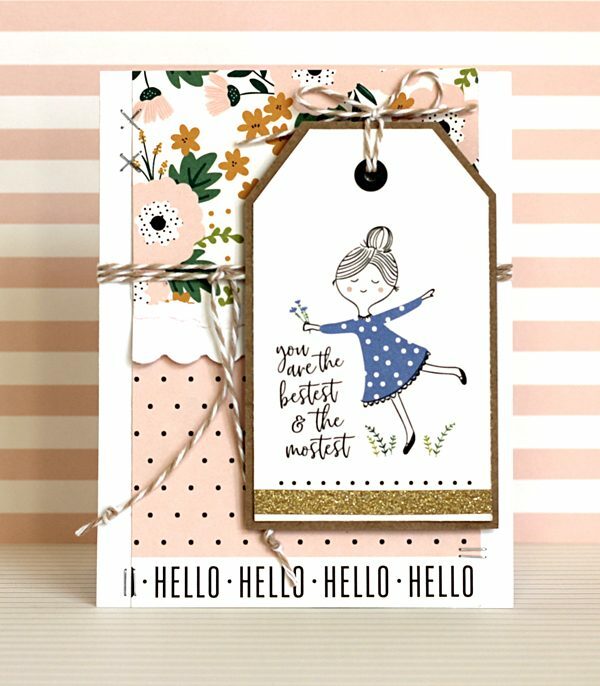 Guest Designer Becky has darling cards for you! Hello! 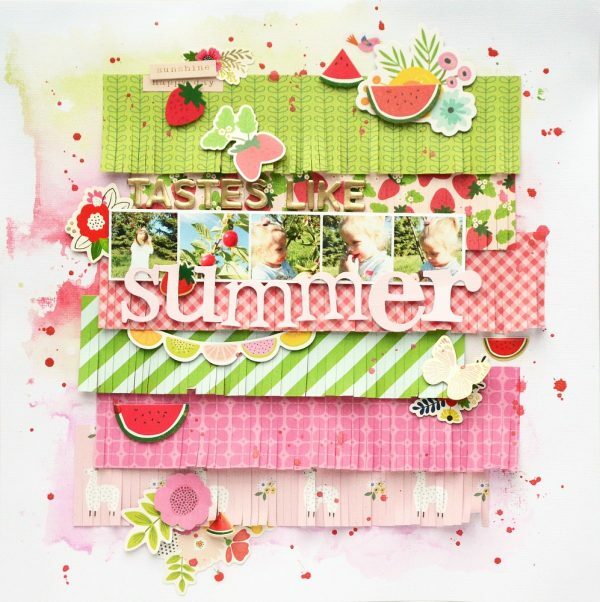 My name is Becky Williams and I am thrilled to get to guest design for Pebbles this month. 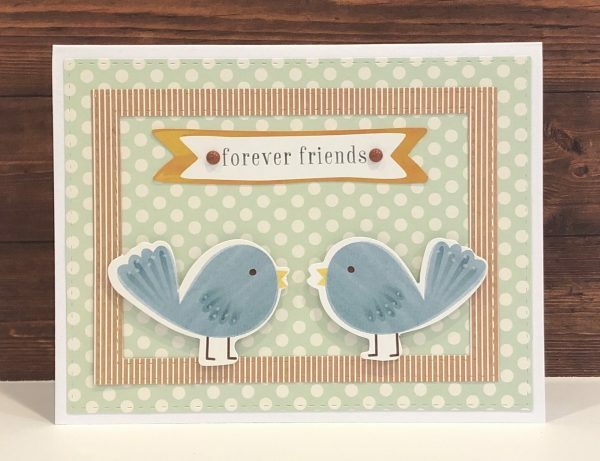 For this first card, I adhered two different pieces of patterned paper to the card base and then used the tear strip from one of the sheets across the seam. 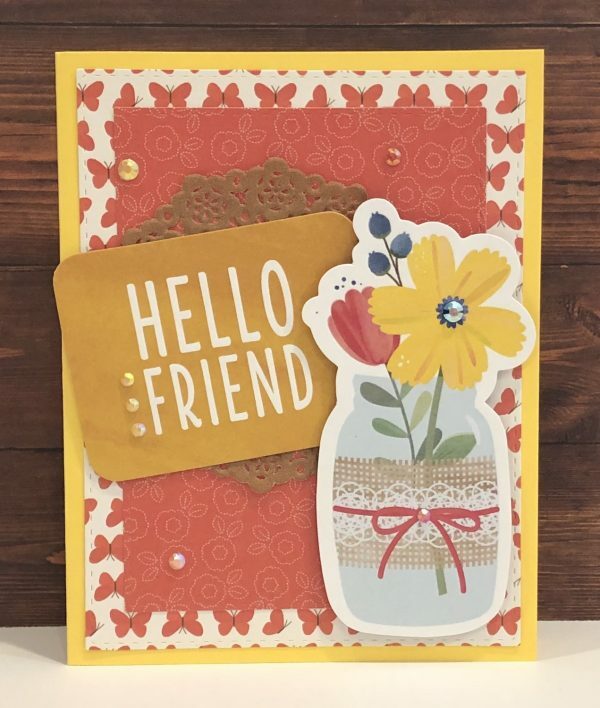 I used the reverse side of one of the tags, wrapped it with twine, added the gold tape, staples and brad and then added a card sentiment to the front using foam adhesive. I adhered the tag to the card with foam adhesive. 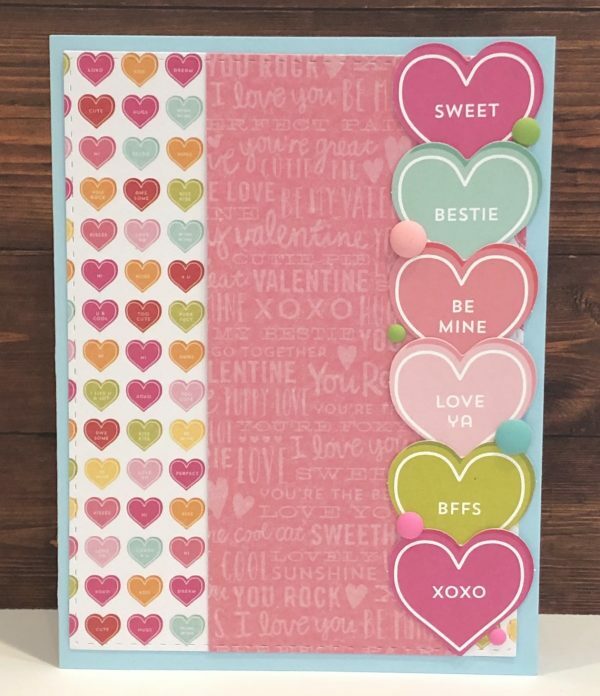 For this second card, I cut strips of varying sizes the width of the card and, after tearing along one edge, layered them to create the background of the card. I created the tag by trimming down another tag, mounting it on kraft cardstock. 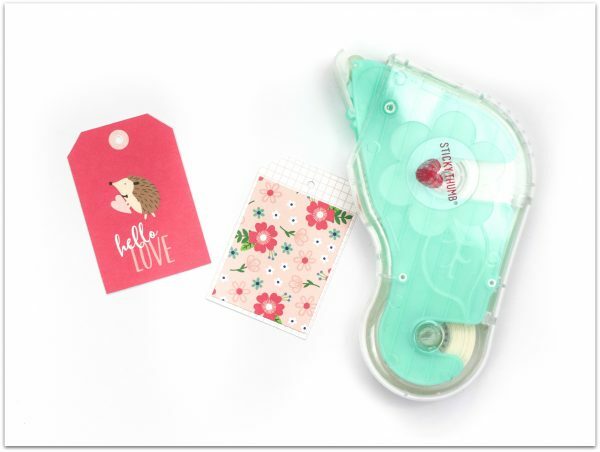 I cut the cute girl and “just for you” sentiment from another tag and layered them as shown, finishing off the tag with some twine. 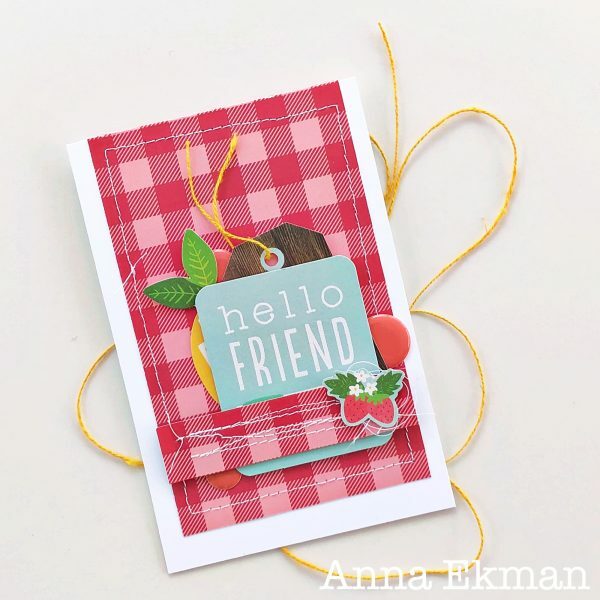 For this quick and easy card, all I did was layer a piece of patterned paper on white cardstock, leaving about a half inch on the edge, then used my scallop border punch on the cardstock, layering that over the cute pink polka dot paper. 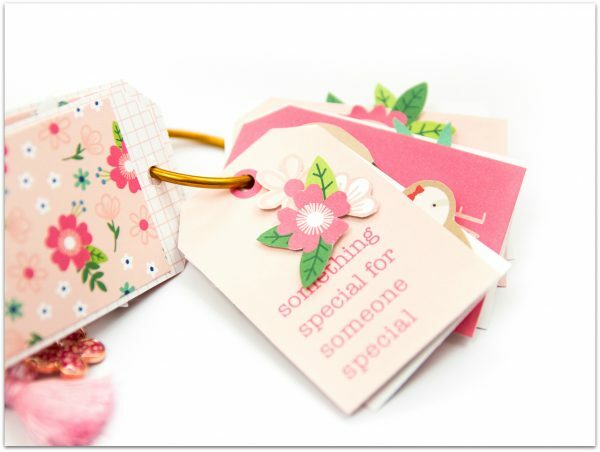 Once again I layered my tag on a piece of cardstock allowing the tag to stand out from the card. 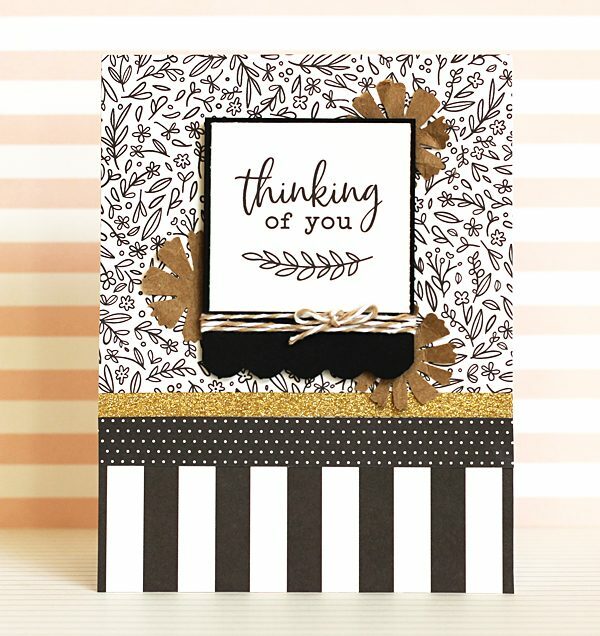 For this final card I chose a black and white color scheme accented by the gold washi and some kraft-colored flowers. 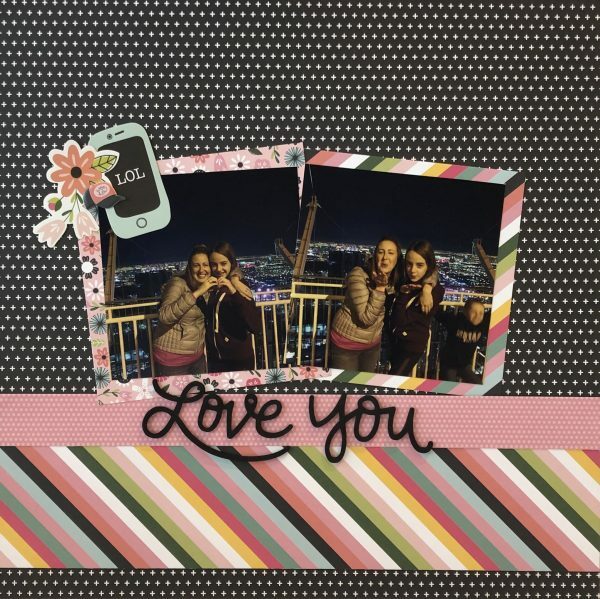 I mounted the card sentiment on black cardstock and left some extra so that I could use my scallop border punch. I wrapped the tag with twine and adhered it to my card base with foam adhesive and then tucked some punched flowers under the edge. 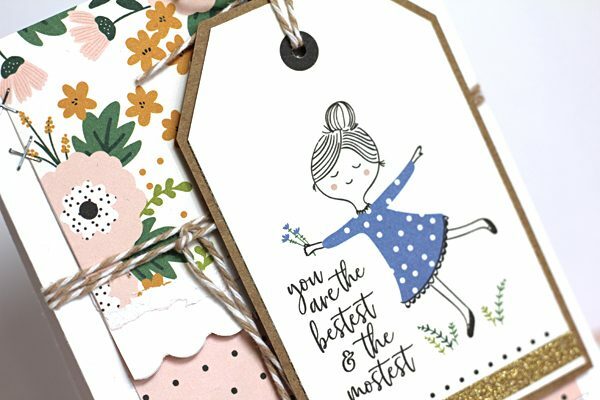 I hope that from my projects for today you could see that you can create a set of beautiful cards with just a few supplies. 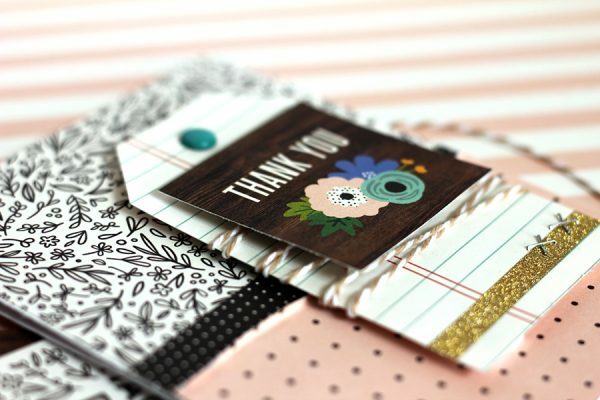 Thank you for stopping by the Pebbles Inc. blog today!